Welp! I think I'm addicted. Just to collecting playing cards! I have my own thread on United Cardists showing off all my decks now. 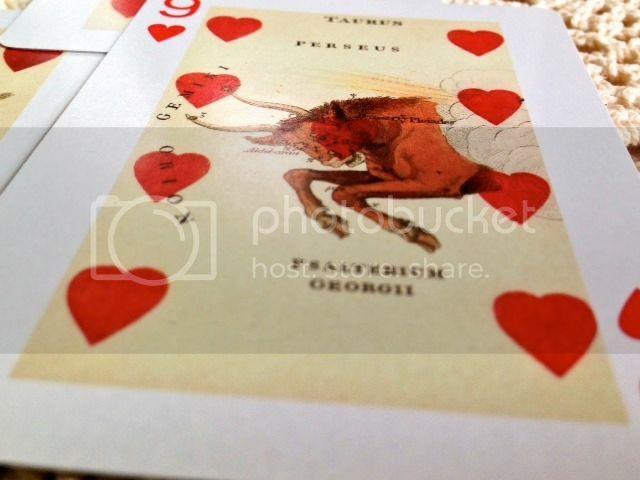 That forum is specifically for card deck collectors and enthusiasts. 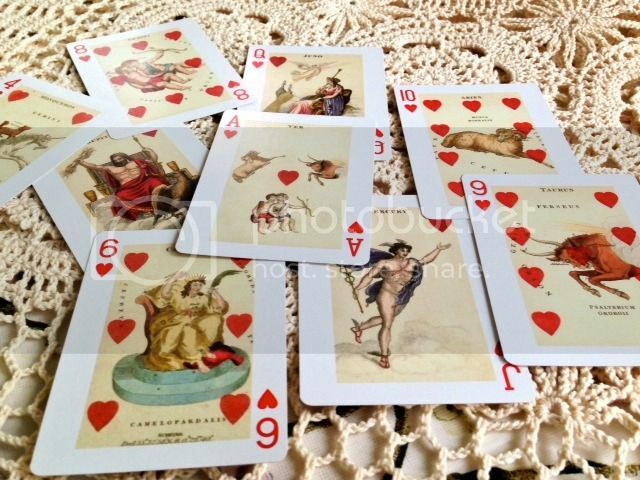 Card tricks, magic and magicians, vintage and everything. But not much of a Cartomancy or Tarot community there. Anyhoo, all my pictures are going in that thread from now on or I'm gonna go loopy trying to remember where I post all my deck pictures. Unless thread linking to other forums is against the rules? I couldn't find a rule against it? 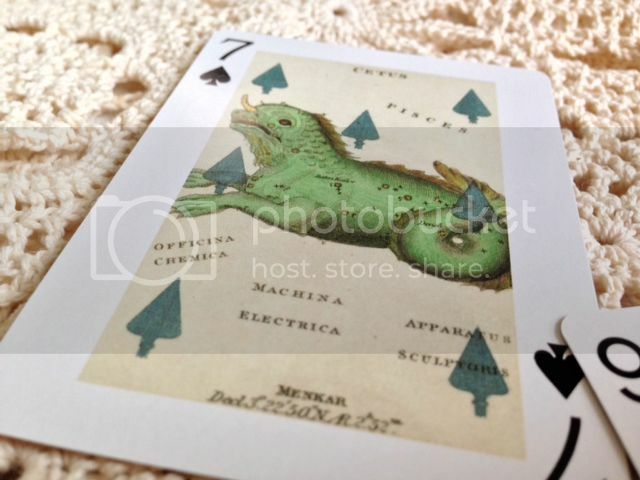 I just looked at that site, and I love that modern art deck! Right up my alley! You showed samples of most of your decks, but the one you didn't was the one I was hoping to see: the owls. If I had photo-to-computer capability, I'd join that site! I'm getting quite a collection myself! ETA: OK, you did it. I joined. Like I need to belong to another message board. 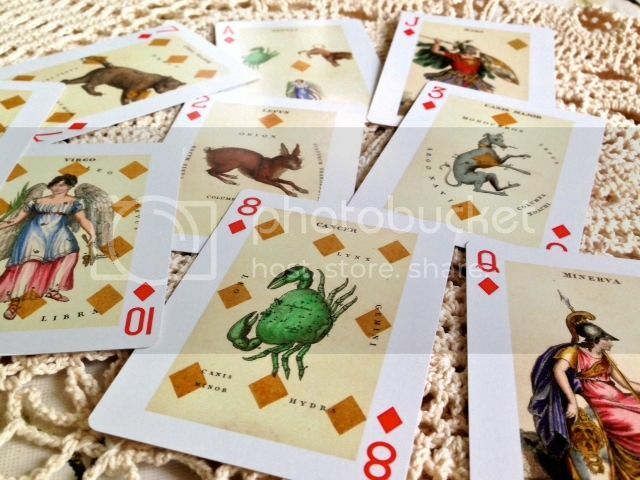 @UrbanDryad, love the cat cards and the bunnies too cute! Unfortunately they are printed on thin, uncoated card, and the corners are square, but for $5.00 one can't expect much more. Someday I'd like to get a nicer (& larger) version. They deserve to be showcased in a luxury edition. Oh Morwenna! 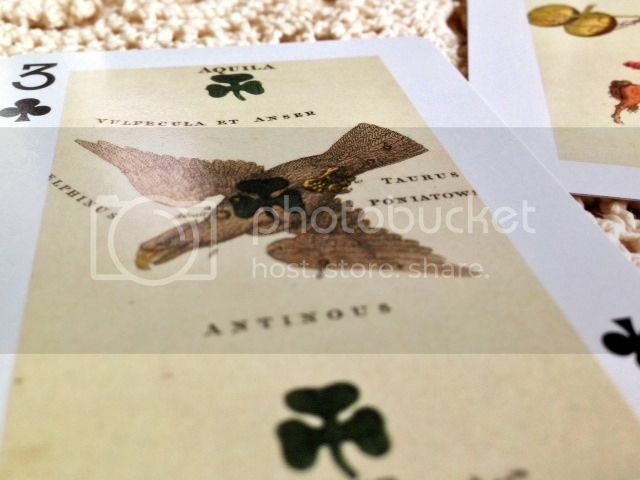 The owl deck has just standard fronts to them. But I'll post a picture here for you and add it to my thread. Urbandryad, love the Egyptian cards. I'll post a few more pics later today. 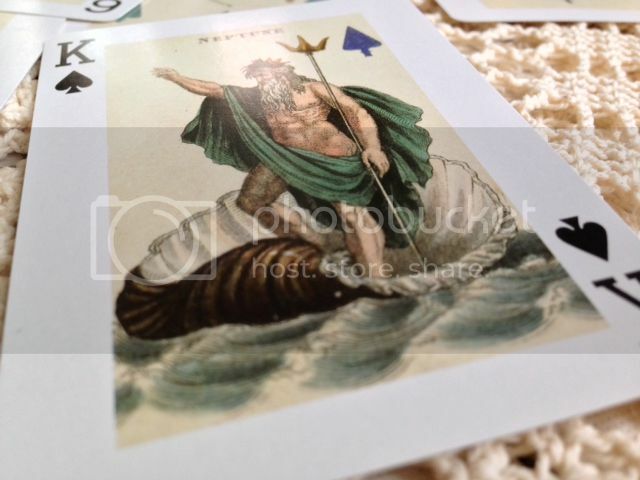 Just LOVE the deck - especially that King Neptune! Gorgeous! 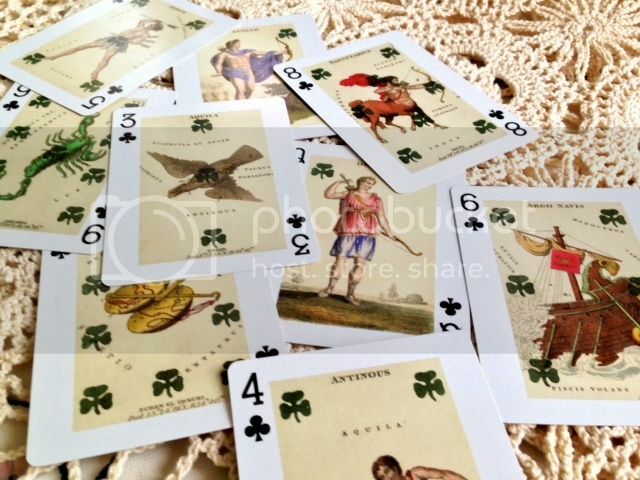 It is so very nice of you to post the pics of your decks, Madrigal! I can feel a new collection coming upon me! Are those the Piatnik Astronomical cards? 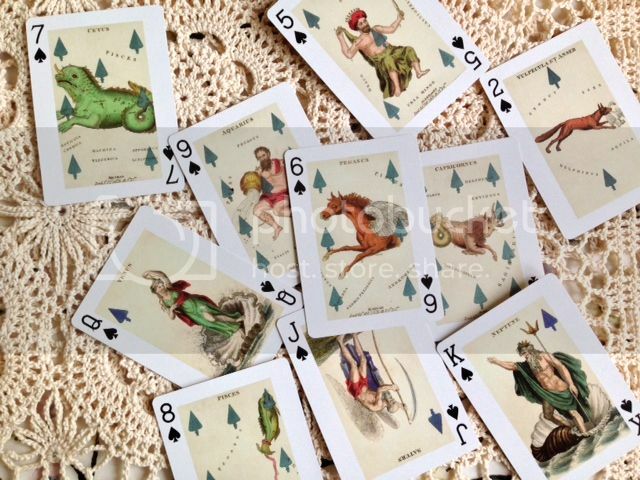 Repro of a 17th century deck?